Sleater-Kinney came crashing out of the ’90s Pacific Northwest riot grrrl scene, setting a new bar for punk’s political insight and emotional impact. Hailed as “America’s best rock band” by Greil Marcus in Time Magazine, and as “America’s best punk band ever. EVER” by Rob Sheffield in Rolling Stone, the band put out seven searing albums in 10 years before going on indefinite hiatus in 2006. Almost a decade later, the trio–guitarists/vocalists Corin Tucker and Carrie Brownstein, and drummer Janet Weiss–has come back together for 2015’s No Cities To Love. Tucker and Brownstein met in 1992 and formed Sleater-Kinney in a brick duplex in Olympia, WA in 1994. 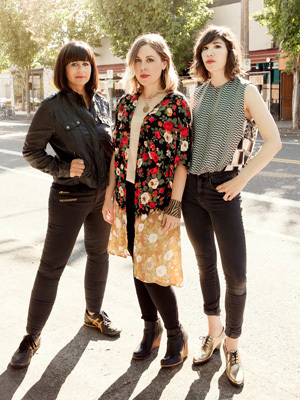 Students at Evergreen State College and members of bands Heavens To Betsy and Excuse 17, respectively, Tucker and Brownstein built Sleater-Kinney from the fire and feminism of their riot grrrl experience with a language and sound all their own. Named for a road in a neighboring town, Sleater-Kinney recorded their 22-minute, 1995 self-titled debut in a single day on a trip to Australia. With drummer Laura MacFarlane, Sleater-Kinney planted the seeds of the band’s distinctive sound, defined by Tucker’s urgent vocals and the remarkable interplay between her and Brownstein’s guitars. With 1996’s Call The Doctor, on Donna Dresch’s punk label Chainsaw, Sleater-Kinney was no longer the side project it had been when it formed, and the band’s songwriting and dynamic gained even more clarity. Brownstein took on more vocal duties, and the give and take of two powerful voices joined that of the guitars. Tucker and Brownstein honed their process of writing songs together, which Brownstein says is “very specific and unique because the parts are relational to the other person.” Along with the its pointed social messages, the album eviscerated the idea that rock godhood belonged to men alone with “I Wanna Be Your Joey Ramone.” Call The Doctor also brought Sleater-Kinney together with John Goodmanson, who would go on to produce several of the band’s albums including No Cities To Love. That same year, in need of a new drummer, Tucker and Brownstein met Jr. High and Quasi’s Janet Weiss through mutual friends. 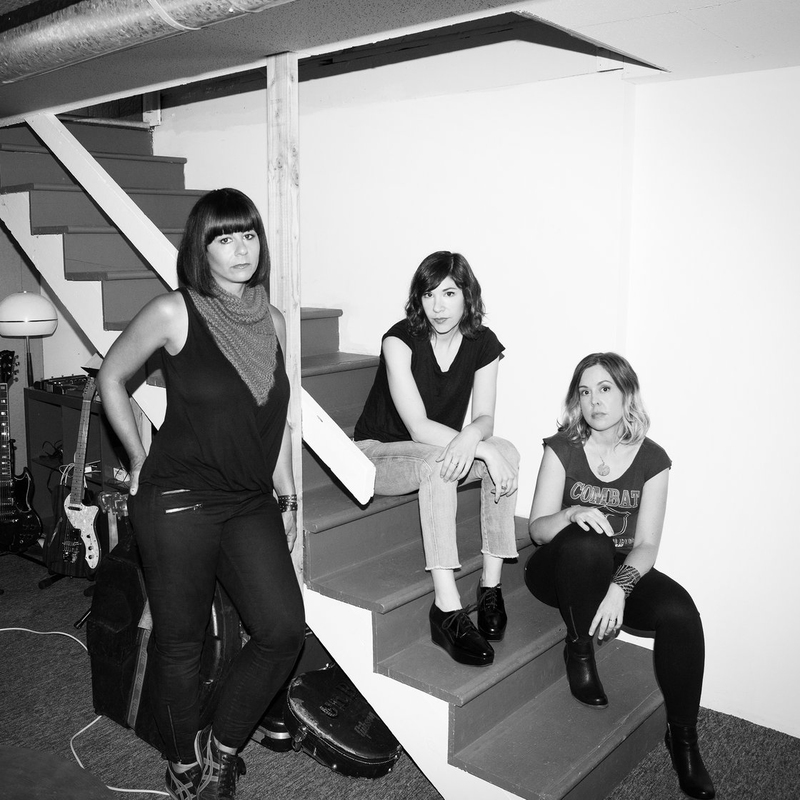 During their first practice with Weiss, the guitarists brought out a new song called “Dig Me Out,” and Weiss wrote the fierce, solid drum part that would set Sleater-Kinney’s ongoing fiery chemistry in motion. In 2001, Sleater-Kinney took a break while Tucker and husband Lance Bangs became parents to son Marshall. The events around his premature birth, as well as the September 11th terrorist attacks, in part influenced 2002’s critically acclaimed One Beat. A political and anxious record, One Beat is also supercharged and strident, facing life and death from the band’s singular perspective. Three years later, in need of a new setting and musical focus, the band signed with Sub Pop and enlisted Flaming Lips producer Dave Fridmann for 2005’s The Woods. Recorded in the literal woods of upstate New York, Sleater-Kinney’s final record before their hiatus took the band to significantly different musical landscapes, drawing on classic and improvisational rock as well as self-imposed discomfort and unfamiliarity.